Just as knowing is understanding, understanding helps prevention. 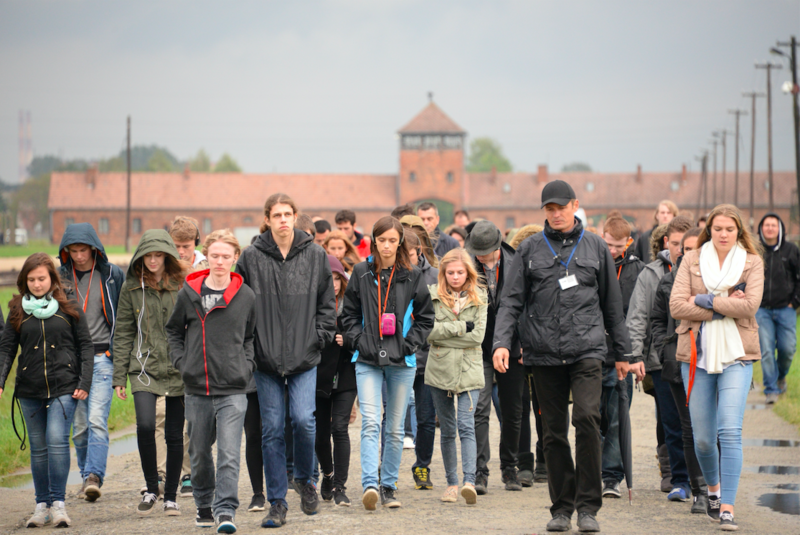 Because of that, the Auschwitz exhibition and Canal de Isabel II give the Spanish lower and upper secondary education (Educación Primaria, Educación Secundaria and Bachillerato) students the chance to visit the exhibition for free. 1. You must download the official application form. 3. All the applications will be handled as soon as possible. 4. After getting confirmation of your visit, you will be able to collect your tickets on the very day of your visit. This offer is valid only for bookings from Tuesday to Friday, from 10.00 to 17.00. Its availability is subject to the premises capacity, and it is not applicable on public holidays and holidays’ eves, Christmas time (December 21-January 7) and Easter Week (March 23-April 9). This offer is applicable to scholar groups in all Spain territory, Bachillerato students included. AUDIOGUIDE IS NOT included. The material to prepare the visit will be sent along with the reservation confirmation.